Since the publication of the Pre-Feasibility Study completed in June 2018, Cobalt Blue Holdings (ASX:COB) (OTCMKTS:CBBHF) has continued a series of metallurgical testwork programs. These include optimisation of process parameters along with scaling up testwork equipment to demonstration/commercial sized plant. 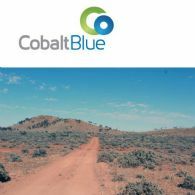 Cobalt Blue Holdings Limited (ASX:COB) market update on the Exploration Farmin Joint Venture Agreement with Broken Hill Prospecting Limited. Cobalt Blue Holdings Limited (ASX:COB) (FRA:COH) (OTCMKTS:CBBHF) Dispute Notices Progress. Cobalt Blue Holdings Limited and Broken Hill Prospecting Limited (ASX:BPL) are in a Joint Venture to develop the Thackaringa Cobalt Project. 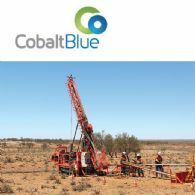 Cobalt Blue Holdings Limited (ASX:COB) as the Thackaringa Joint Venture Manager, is pleased to announce further results from its resource definition drilling program at Thackaringa, NSW. Cobalt Blue Holdings Limited (ASX:COB) (the Company or Cobalt Blue) advises that Non-Executive Director Matthew Hill has resigned from Cobalt Blue effective today. 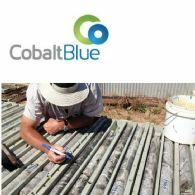 Cobalt Blue Holdings Limited (ASX:COB) (the Company or Cobalt Blue) is pleased to announce it has received firm commitments from investors for a share placement to raise gross proceeds of $1,687,000. On 24 October 2018 COB elected out of the Earning Period process of the Exploration Farmin Joint Venture Agreement with BPL (TJV Agreement). Cobalt Blue Holdings Limited (ASX:COB) (OTCMKTS:CBBHF) provides the Company&apos;s AGM Address to Shareholders. 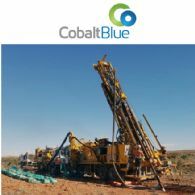 Cobalt Blue Holdings Limited (ASX:COB) (OTCMKTS:CBBHF) has commenced the largest single drilling campaign to date at Thackaringa - in excess of 15,000 metres will be drilled over the coming six months. 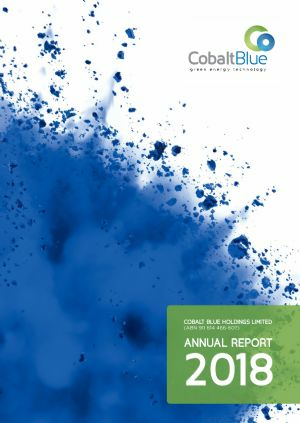 Cobalt Blue Holdings Limited (ASX:COB) (OTCMKTS:CBBHF) provides the Company&apos;s Annual Report to shareholders. 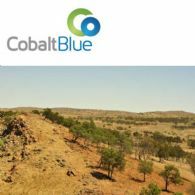 Cobalt Blue Holdings Limited (ASX:COB) (OTCMKTS:CBBHF) provides the CEO&apos;s Letter to Shareholders. 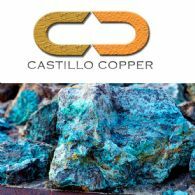 Cobalt Blue Holdings Limited (ASX:COB) (OTCMKTS:CBBHF) and CuDeco Limited (ASX:CDU) announce that they have entered into a Memorandum of Understanding, an important stepping stone to determine if the cobalt-pyrite at the Rocklands project can produce cobalt products and create additional revenue for both companies. Cobalt Blue Holdings Limited (ASX:COB) (OTCMKTS:CBBHF) provides the Company&apos;s US and European Institutional Marketing Presentation. Cobalt Blue Holdings Limited (ASX:COB) (OTCMKTS:CBBHF) provides the Company&apos;s latest presentation at Diggers and Dealers. Cobalt Blue Holdings Limited (ASX:COB) (OTCMKTS:CBBHF) provides the Company&apos;s Quarterly Report. 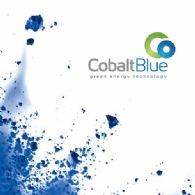 Cobalt Blue Holdings Limited (ASX:COB) (OTCMKTS:CBBHF) provides the Company&apos;s CEO Letter to Shareholders. Cobalt Blue Holdings Limited (ASX:COB) (OTCMKTS:CBBHF) refers to the Pre-Feasibility Study announced to the ASX on 4 July 2018. Broken Hill Prospecting Limited (ASX:BPL) (OTCMKTS:BPLNF) is pleased to acknowledge receipt of the Pre-Feasibility Study from Cobalt Blue Holdings Ltd (ASX:COB) (OTCMKTS:CBBHF) as Manager of the Thackaringa Joint Venture, details of which have been released by COB this morning. Cobalt Blue Holdings Limited (ASX:COB) (OTCMKTS:CBBHF) is pleased to report a maiden Ore Reserve Statement and Preliminary Feasibility Study for the Thackaringa Cobalt Project. Cobalt Blue Holdings Limited (ASX:COB) (OTCMKTS:CBBHF) wishes to announce that, effective 29 June 2018, Robert Waring was appointed as Company Secretary of the Company. 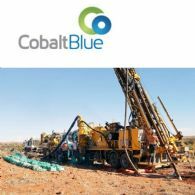 Cobalt Blue Holdings Limited (ASX:COB) (OTCMKTS:CBBHF) advises that it is on schedule to meet its earlier released timeline to finalise its Pre-Feasibility Study on its Thackaringa Cobalt Project at Broken Hill NSW by 30 June 2018 and satisfy obligations under Stage Two of the agreement to secure a 70% beneficial interest in the Project. Broken Hill Prospecting Ltd (ASX:BPL) (OTCMKTS:BPLNF) provides the Company&apos;s latest presentation at Resources Round Up Conference. 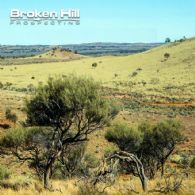 Broken Hill Prospecting Ltd (ASX:BPL) (OTCMKTS:BPLNF) provides the Company&apos;s Quarterly Activities Report. 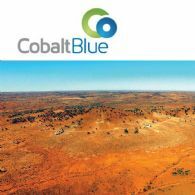 Cobalt Blue (ASX:COB) (OTCMKTS:CBBHF) is pleased to announce it has retained the Stage 1 percentage share (51% beneficial ownership) under its Thackaringa Joint Venture Agreement with Broken Hill Prospecting Ltd (ASX:BPL) (OTCMKTS:BPLNF). 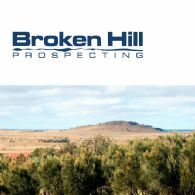 Broken Hill Prospecting Limited (ASX:BPL) (OTCMKTS:BPLNF) or the Company, advises that under the terms of the Thackaringa Joint Venture with Cobalt Blue Holdings Ltd (ASX:COB) (OTCMKTS:CBBHF) the requirements have now been satisfied for COB to retain 51% beneficial interest in the TJV. Cobalt Blue (ASX:COB) (OTCMKTS:CBBHF) is proud to announce a strategic First Mover partnership with LG International, the resources investment arm of LG Corporation, acting in cooperation with LG Chem. Broken Hill Prospecting Ltd (ASX:BPL) and Cobalt Blue Holdings Ltd (ASX:COB) today announced a major strategic partnership with LG International involving their Thackaringa Cobalt Project Joint Venture near Broken Hill, NSW. Broken Hill Prospecting Ltd (ASX:BPL) and Cobalt Blue Holdings Ltd (ASX:COB) under the Thackaringa Joint Venture today announced a significant resource upgrade at the Thackaringa Cobalt Project, located on BPL&apos;S tenement leases near Broken Hill, NSW. Cobalt Blue (ASX:COB) is pleased to announce a significant resource upgrade at the Thackaringa Project, located near Broken Hill, NSW. 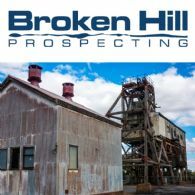 The Directors present the following report including financial statements of Broken Hill Prospecting Limited (ASX:BPL) for the six months ended 31 December 2017. The directors present their report together with the financial report of Cobalt Blue Holdings Limited (ASX:COB) for the half-year ended 31 December 2017 and the auditor&apos;s review report thereon. Cobalt Blue Holdings Limited (ASX:COB) announces PFS - calcine and leach testwork has been completed and delivered strong results. 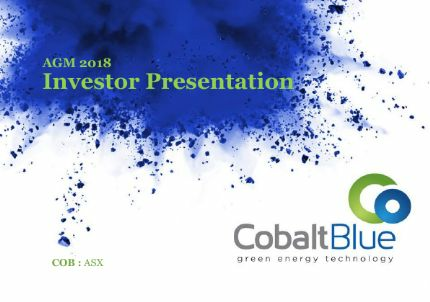 Cobalt Blue Holdings Limited (ASX:COB) provides the Company&apos;s Investor Presentation for Quarter 1, 2018. 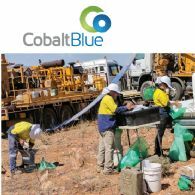 Cobalt Blue Holdings Limited (ASX:COB) provides the Company&apos;s Quarterly Activities and Cash Flow Reports. Cobalt Blue Holdings Limited (ASX:COB) is pleased to provide the final assays from its major 2H 2017 resource definition drilling program at the Thackaringa Cobalt Project NSW. Broken Hill Prospecting Ltd (ASX:BPL) provides the Company&apos;s 2017 AGM Presentation. 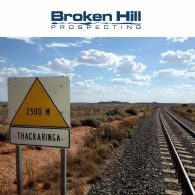 Broken Hill Prospecting Ltd (ASX:BPL) announces the latest Thackaringa Project Results, Broken Hill. Cobalt Blue Holdings (ASX:COB) is pleased to provide initial assays from its major 2H 2017 resource definition drilling program underway at the Thackaringa Cobalt Project NSW. Cobalt Blue Holdings Limited (ASX:COB) is pleased to announce it has received firm commitments from investors for a securities placement to raise gross proceeds of AUD$2.5 million. Cobalt Blue Holdings Limited (ASX:COB) provides the Company&apos;s AGM Presentation. Cobalt Blue Holdings Limited (ASX:COB) announces multiple large exploration targets identified at Thackaringa Cobalt Project. 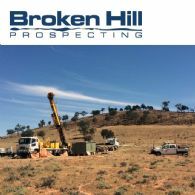 Broken Hill Prospecting Ltd (ASX:BPL) announces multiple large base and precious metal targets found at Thackaringa Project near Broken Hill. A Q&A session with Cobalt Blue Holdings Limited (ASX:COB) CEO Joe Kaderavek outlining the latest news from his visit to Korea and Japan is available on the Cobalt Blue&apos;s website. A Q&A session on the Cobalt Blue&apos;s (ASX:COB) metallurgical breakthrough at Thackaringa with CEO Joe Kaderavek is available. Cobalt Blue Holdings Limited (ASX:COB) announces strong concentration results of the bulk metallurgical testwork. Cobalt Blue Holdings Limited (ASX:COB) provides the Company&apos;s Quarterly Activities and Cash Flow Reports for the period ending September 2017. COB&apos;s recently completed Thackaringa drilling campaign (8,000 metres) declared a combined 55Mt Inferred and Indicated Resource at 910 ppm cobalt (5 June 2017) in addition to a successful Scoping Study (11 July 2017), which will be used a baseline for our upcoming Pre-Feasibility Study (PFS). 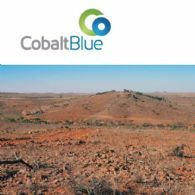 Cobalt Blue Holdings Limited&apos;s (ASX:COB) focus is upon the development and commercialisation of the Thackaringa Cobalt Deposit, Broken Hill, NSW. The Company has entered into a Farm in Joint Venture Agreement ("JVA") with Broken Hill Prospecting Limited (ASX:BPL). 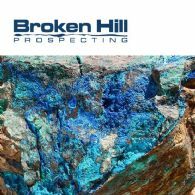 Broken Hill Prospecting Ltd (ASX:BPL) provides the Company&apos;s Quarterly Activities and Cash Flow Reports June 2017. Cobalt Blue Holdings Limited (ASX:COB) provides the Company&apos;s Quarterly Activities and Cash Flow Reports for the period ending 30 June, 2017. Cobalt Blue Holdings Limited (ASX:COB) provides the Company&apos;s latest Investor Presentation in July 2017. 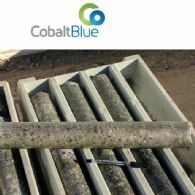 Cobalt Blue&apos;s Board (ASX:COB) is very confident that it has a world class cobalt project on its hands after recently delivering a successful Scoping Study for the Thackaringa venture in western New South Wales. The optimal path for processing which was tested during the study achieved a ~90% cobalt recovery from in-ground to payable metal. That result is significant. Cobalt Blue Holdings Limited (ASX:COB) is pleased to advise that it has completed a Scoping Study based on the Inferred and Indicated Mineral Resource at its Thackaringa Cobalt Project, located approximately 23 km south west of Broken Hill, NSW. The Study referred to the Pyrite Hill, Big Hill and Railway deposits. Broken Hill Prospecting Ltd (ASX:BPL) received a first class Scoping Study for the Thackaringa Cobalt Project from its joint venture partner Cobalt Blue Holdings Ltd (ASX:COB). The recently completed FY17 work program has delivered strong results culminating in a significant resource upgrade for the Thackaringa Cobalt Project. Cobalt Blue (ASX:COB) declared a 54.9Mt combined Indicated (6.5Mt) and Inferred (48.4Mt) Resource on 5 June 2017 as a result of this program. 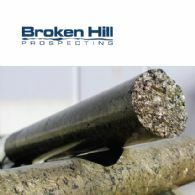 Broken Hill Prospecting Ltd (ASX:BPL) announced the legal dispute with Relentless Resources (RRL) is resolved and Heavy Mineral Sands (HMS) expansion plans accelerate with funding sufficient for new project review and acquisition. Cobalt Blue Holdings Limited (ASX:COB) is pleased to announce a significant resource upgrade at the Thackaringa Project, located near Broken Hill, NSW. This upgrade is the result of a substantial drilling campaign including 7,957m of diamond drilling and reverse circulation drilling completed during 2016/17. Cobalt Blue Limited (ASX:COB) is pleased to provide the final assays from its major 1H 2017 resource definition drilling program completed at Thackaringa, NSW. Cobalt Blue (ASX:COB) is pleased to announce that 75% (21.2 million) of COB&apos;s options outstanding (28.2 million) vested on 2 May 2017, with COB making application for 10.3 million of vested COB options now quoted on the Australian Securities Exchange - effective 9 May 2017 (ASX.COBO). Cobalt Blue Holdings Limited (ASX:COB) is delighted to announce the completion of its 1H 2017 resource definition drilling program at the Thackaringa cobalt project, west of Broken Hill, NSW. Completion of this campaign is a major milestone. The current assay will be used as the basis for a new and updated resource estimation process, commencing in May. Broken Hill Prospecting Ltd (ASX:BPL) is pleased to announce Thackaringa drilling uncovers higher cobalt grades ahead of resource upgrade. Cobalt Blue Holdings Limited (ASX:COB) is pleased to provide an update on its recently completed 1H 2017 resource definition drilling program at Thackaringa, NSW. 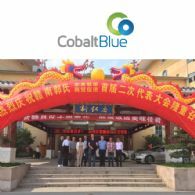 Cobalt Blue Holdings Ltd (ASX:COB) CEO Joe Kaderavek and Chair Robert Biancardi recently completed a successful commercial/technical visit to China. They travelled extensively across four provinces, visiting companies responsible for over 80% of Chinese cobalt capacity. Cobalt Blue Holdings Limited (ASX:COB) are pleased to provide the Company&apos;s latest Quarterly Activities & Cash Flow Reports for the period ending March 2017. 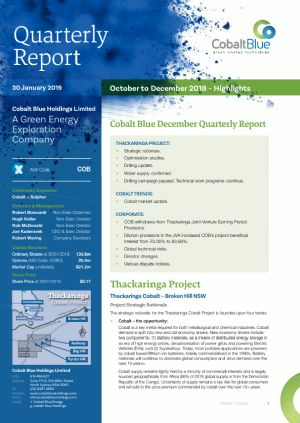 Cobalt Blue Holdings Limited (ASX:COB) is pleased to report significant and encouraging cobalt assays from the drilling program commenced in November 2016 at the Thackaringa project near Broken Hill, NSW. Cobalt Blue Holdings Ltd (ASX:COB) is undertaking a significant infill and extensional drilling program designed to support a resource estimate upgrade. Our aspiration remains, that by mid year, we will triple the current size of the Thackaringa cobalt deposit, capable of supporting a significant, long life mining operation. 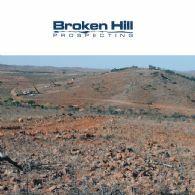 Broken Hill Prospecting Ltd (ASX:BPL) are pleased to provide the Company&apos;s latest Quarterly Activities and Cashflow Reports for the period ended 31 December 2016. Broken Hill Prospecting Ltd (ASX:BPL) are pleased to provide an update on Cobalt Blue Holdings Limited. Cobalt Blue has announced that its IPO successfully closed after investors applied for more than the A$10 million maximum offer.